Most of the traditional technology acceptance models revolve around information systems (IS)/information technology (IT) adoption at individual user level. Organizations are complex social systems in which stakeholders interact and play different roles in IS/IT adoption and use. This study provides an organizational perspective through multiple stakeholder viewpoints to explore ‘systemic problems’ in IS adoption. This paper contributes to IS literature by applying boundary critique mechanism of Critical Systems Heuristics (CSH) through an interpretive study of a web portal implementation project in a West Australian University. 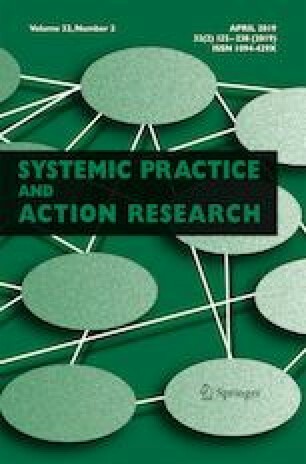 This perspective considers systemic problems as a ‘system of conflicts’ comprising key factors and organization-wide stakeholder interactions. Moreover, it adds to CSH theory as to how systemic problems are identified by using boundary judgments and evaluated using a hermeneutic approach. 1. Who ought to be the client/beneficiary? 2. What ought to be the purpose? 3. What ought to be the measure of success/performance? 4. Who ought to be the decision maker? 5. What resources or components of the system should be controlled by the decision maker? 6. What resources or components of the system should not be controlled by the decision maker? 7. Who ought to be involved in the design of the system or who should be the designer? 8. What sort of expertise ought to be considered for design/ who should be the expert and what role should he /she play? 9. Who should be guarantor (held responsible) for the system’s performance? 10. Who should represent or witness the affected? 11. Who among the affected ought to be involved? To what extent should the ‘affected’ be given chance to challenge the premises and promises of those involved? 12. What worldview should underlie the design of the system? 1. Who do you think are the stakeholders or people related to the portal? 2. Who should be the beneficiary in the design and improvement of the portal? 3. Who do you think is the beneficiary of the portal? 4. What should be the purpose or goals of the portal to serve the beneficiary? 5. What in your opinion is the purpose of the portal? 6. Which factors e.g. social, technological etc. do you think should be considered in measuring portal’s performance? 7. What are the problems related to your experience with the portal? 8. Who in your viewpoint should make major decisions about the content, purpose and resources of the portal? 9. Who do you think makes these decisions or who is the decision maker? 10. What resources should not be controlled by the portal’s decision maker? 11. Who should be involved in defining the requirements of the portal? 12. Who do you think are actually involved in defining the requirements of the portal? 13. Who do you think are not involved but influenced or affected by the development or improvement of the portal? 14. Who among the affected should be involved? 15. Who you think should be held responsible if the portal fails to achieve its purpose? 16. How do you think the portal should evolve in the future?